KUWAIT CITY, Nov 23: MP Khalid Al-Otaibi has forwarded questions to acting Minister of Interior Sheikh Khalid Al-Jarrah Al-Sabah about the driving licenses issued to expatriates. Al-Otaibi stated that in November 2014, the Ministry of Interior issued a decision to amend some provisions of the Traffic Law and its executive regulations in order to link the issuance of driving licenses to non-Kuwaitis with the validity of their residency permits. The conditions for obtaining a driving license for expatriates include monthly salary of not less than KD 600 and university degree, while limiting the issuance of driving licenses to certain professions, he added. 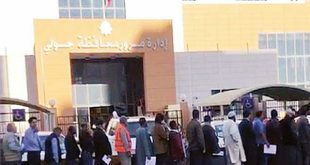 He demanded for details such as the number of driving licenses issued to expatriates since the implementation of the decree in November 2014 till date, cases exempted from this decision, and reasons for exemption — whether the salary, occupation, length of stay in the country or university qualification. He asked about the measures taken to reduce traffic jams and plans concerning parliamentary proposals to address the road congestion crisis. Also, MP Thamer Al-Suwait presented questions to acting Minister of Commerce and Industry and State Minister for Youth Affairs Khalid Al- Rawdhan about food security. He pointed out that towards the end of November, the country experienced a food crisis following news about the safety of food products imported from Egypt and scarce supply of onion which led to a remarkable price hike. He wants to know the quantity of food items stored in the warehouse of the ministry and if the stock is enough to provide for the daily needs of citizens and expatriates. He requested for the approved list of food items, authorities or individuals in charge of choosing items to be included on the list and period of amending or updating the list. He inquired if the ministries of Commerce, Municipality and Finance have coordinated their efforts to utilize agricultural land and supervise agricultural production. He asked if the Ministry of Commerce banned foodstuffs coming from the Arab Republic of Egypt, list of these products, dates when the ban started and ended, and list of food items that the ministry banned in the last three years. He wanted to know if there is truth in the report published by local media that a certain quantity of Egyptian onion entered Kuwait as the country of origin was changed to India, plans of the Commerce Ministry to guarantee food security, studies in this regard and contingency plans in case of emergency in view of the current situation in the region. He asked about the methods for inspecting imported and local food products prior to distribution to the market. Meanwhile, MP Majed Al-Mutairi urged HH the Prime Minister Sheikh Jaber Al-Mubarak Al-Hamad Al-Sabah to quickly announce the new government, asserting the delayed government formation has negatively affected the work of the National Assembly. He wondered why some competent personalities are reluctant to accept ministerial positions, especially since the current situation in the region necessitates unity of citizens. He stressed that the legislative and executive authorities should work together, indicating genuine oversight is aimed at implementing reforms, so a minister keen on serving the country and rectifying mistakes should not be worried about the oversight role of the legislature.